Even as digital payments are set to rise, cash is still king. So reads a CNBC article on a MadMoney interview with PayPal's Chief Financial Officer. 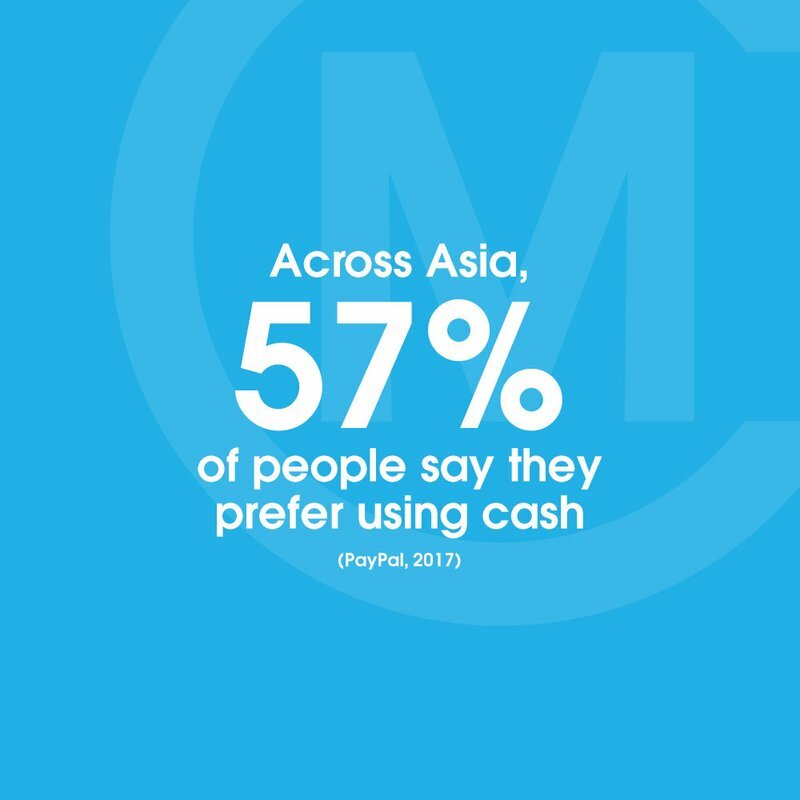 A survey by PayPal published concludes that cash remains the preferred mode of payment across Asia, even in the face of digital payments growth. Cash still matters, and it won't go away anytime soon, according to the chief technology officer at PayPal. Last year, a study from consulting firm Capgemini and bank BNP Paribas predicted that by 2020, people around the world would make about 726 billion transactions using digital payment technology. "Cash is going to be around for a bit, especially in many emerging markets,"
Last August, a PayPal study found cash was still king in Asia, with China being an outlier where majority of the respondents said they preferred using digital payments. The European Central Bank said in November that a majority of people in the Euro area used cash when paying for goods and services in 2016 — especially for small-value items below 15 euros ($17.62). Even then, it would not be easy to dislodge cash from society and move solely to digital payments, according to David Ng, a principal at investment firm B Capital Group's Singapore office. But a systematic push from governments and the availability of good digital payment platforms, like WeChat Pay and M-Pesa, might drive more people toward cashless transactions, he said. Even then, "consumers will still choose a hybrid of both," he added.